There is a universal rule that governs our lives behind the scenes. It works silently, only observed by those aware of its existence. The people who understand its power spend more of their time living happier lives. Apply 80/20 to every aspect of your work. They use this principle to accomplish more in less time. We can see it at work in our everyday lives, and it goes by many names: Pareto’s Law, the Pareto Principle, the 80/20 rule, or the law of vital few and trivial many. The Pareto Principle states that roughly 20% of actions produce 80% of results. This also means 80% of effects come from 20% of causes. You wear 20% of the clothes in your closet 80% of the time. 20% of society holds 80% of the wealth. It’s not always an 80/20 split—sometimes it’s 70/30 or 90/10—but you will rarely see an even split between cause and effect. 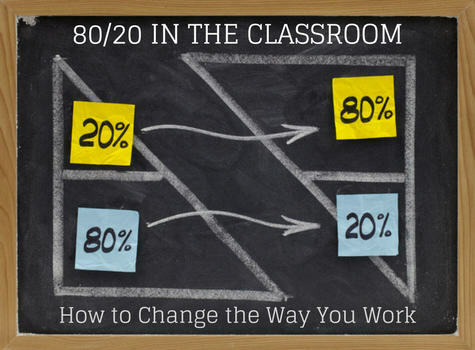 How can you apply the Pareto Principle inside the classroom? Action Plan: Identify the 20% of your students who take the most of your energy. Develop strategies, systems, and rules to streamline their challenges. A small number of students are going to take up a great deal of your time and energy. I’m sure you’re picturing a certain student right now. There’s tremendous value in recognizing this pattern! It will ease a lot of your frustration when you recognize the student who went through your mind a moment ago. It makes their challenges seem less personal when you see that bigger picture. One way I did this was identifying how many of my students were struggling to stay organized. That’s one of the reasons I began teaching study skills in the first place! I realized that a big chunk of my time would be freed up if students could actually handle the work on their own. Remember to recognize the 20% who need the most from you! Action Plan: Focus on the 80% you can reach and impact! Teachers are always focusing on the students they can’t reach. They tend to dwell on the times they can’t finish a lesson plan because of a schedule change, a behavior issue, or other interruptions, and they go home with a sinking feeling every single day. Teachers don’t realize the 80% successes they have in their days! If I had this awareness as a classroom teacher, it would have completely transformed the way I felt about my effectiveness! I certainly didn’t have an 80/20 perspective when I was teaching. One reason we focus in the wrong direction, especially in education, is that we value the 100%, the A+, the perfect score. Most of us did not become teachers to be satisfied with an 80% success rate! It’s EXTREMELY important that we recognize that “80%” is usually the best we can do. The 80/20 rule has been in effect since the universe was created. It says we CANNOT expect perfection in our profession as educators! This is where the distinction between excellence and perfection is extremely important. Perfection means reaching every single student. The reality is, you can’t do that. That doesn’t mean you shouldn’t try. Instead, strive for excellence. It’s also essential to be kind to yourself. Remember, you are not giving up on students. You are simply giving yourself permission to be content with yourself, even when you can’t reach that remaining 20%. Most importantly, give yourself credit for your 80% victories! 80/20 for the Classroom #3: 20% of Content = 80% of Impact! 20% of the content you have to teach will account for 80% of the impact on students’ grades and understanding—that is a fact. 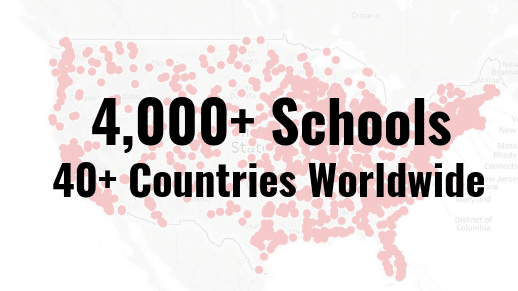 You can see it on standardized tests or even the tests published by your textbook companies. If you can identify the 20% of the content that will have 80% of the impact, you can DRAMATICALLY reduce the burden you put on yourself when covering content throughout the year. It is important to recognize that reflecting on the content like this, will… take… time! 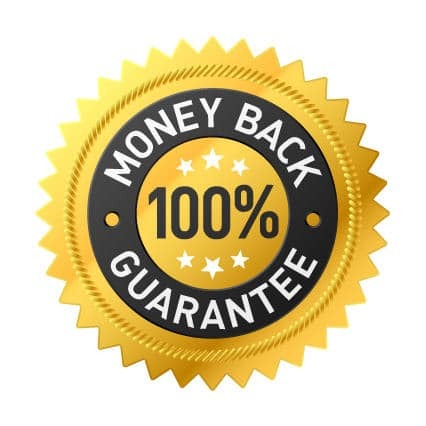 So don’t take off tomorrow and expect to be able to identify the most important 20% of your content. Just make a note to pay attention to this and keep track of it over the course of the next few months. First, start to recognize your 80% victories. Then, moving forward, you’ll see these patterns more in your students and your content. Over time, you’ll be able to identify the key elements of your curriculum that will account for 80% of your impact. That will give you more room for your creativity and passion to cover the 20% of the content that goes the furthest towards the performance expectations placed upon you. So, identify the top 20%… over time. If you use the 80/20 Principle, be prepared to grow in efficiency, energy, and success. Using the hidden tool of Pareto’s 80/20 Principle will make life easier and more efficient for you and your students. Share your hidden knowledge with colleagues and friends, and watch this principle change your classroom forever! The quickest way to apply 80/20 to the classroom is to empower your students with efficient learning and organizing strategies. 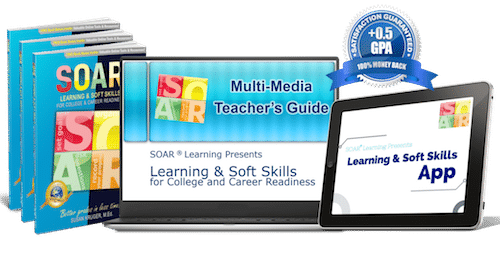 Bring study skills to your school with SOAR® Study Skills Curriculum.